This is an in-person workshop at One Down Dog yoga studio in Echo Park in Los Angeles. Breathwork is an active meditation that moves stuck energy, uproots unprocessed pain, emotions, and limiting beliefs so you can access your truth and wisdom. This two-part breath is done in and out of the mouth which helps connect you to your body and activates your energy system. In this powerful hourlong journey you’ll breathe, scream, and maybe even laugh and cry to a killer playlist. No matter what you’re going through in your life, Breathwork will help you release what’s not serving you, leaving you lighter and clearer. Space is limited. Bring a yoga mat. This is an in-person workshop at One Down Dog yoga studio in Eagle Rock in Los Angeles. This is an in-person workshop at Rare Bird in Oakland, CA. Self love is the foundation required for making healthy life choices, claiming our worth, moving through the fear of being seen and heard. In this workshop, you'll learn a powerful tool for self-love mastery. We'll discuss what it really means (and looks like) to love yourself, complete writing prompts to help you dig deeper, and engage in a self-healing Breathwork practice to open your heart. This is a practice that you will be able to continue to work with on your own. Space is limited. Please wear comfortable clothing and bring a yoga mat, blanket, a notebook and pen. 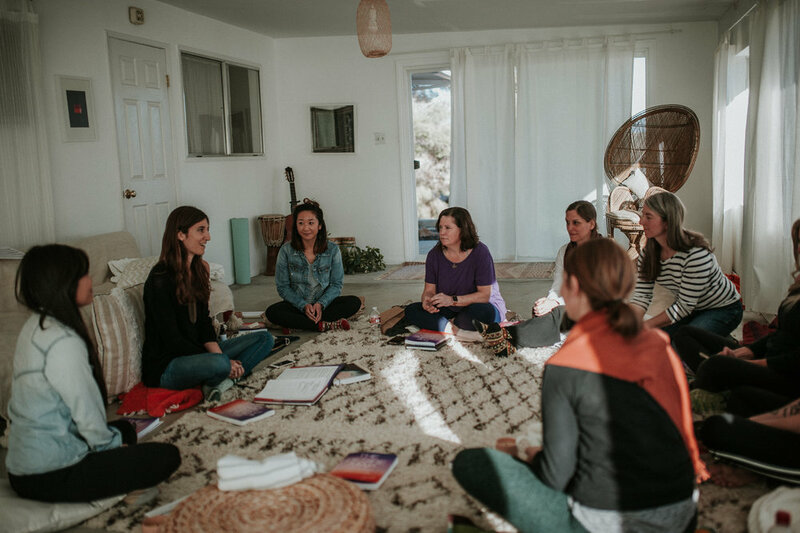 This is an in-person workshop at Spirit House in Los Angeles. This is an in-person workshop at a private location in Berkeley, CA. Once you sign up you’ll be provided with the address. This is an in-person workshop at One Down Dog’s new studio in Echo Park. As Ram Dass has famously said, “If you think you’re enlightened, go spend a week with your family.” Sometimes it can feel like no matter how much we grow, when we’re around family we regress until our old patterns of behavior. Even if we're are conscious of our family dynamics, we often can’t will them into change. In this two-hour workshop you’ll get clear on the beliefs you’ve taken on from your family line, how they impact your sense of self, and how dynamics change if we can’t make other people change. You’ll be guided through a healing Breathwork session to clear unprocessed pain from your body so you can build a healthier relationship to yourself and your family relationships. This is an in-person workshop at a private home in Silverlake in Los Angeles. The address will be provided upon registration. The Universe has been nudging me to help heal sexual abuse energy, and the #MeToo movement gave me the push to put this workshop together. This will be a very intimate gathering for anyone who feels they are carrying sexual abuse energy. It's important to note that you do not have to have been sexually abused to be carrying abuse energy. If either of your parents was sexually abused then you are carrying it and need to clear it out. Being a woman living in a world rampant with sexual abuse, there is a lot of healing to do be done, and this is something I've been working on extensively myself. 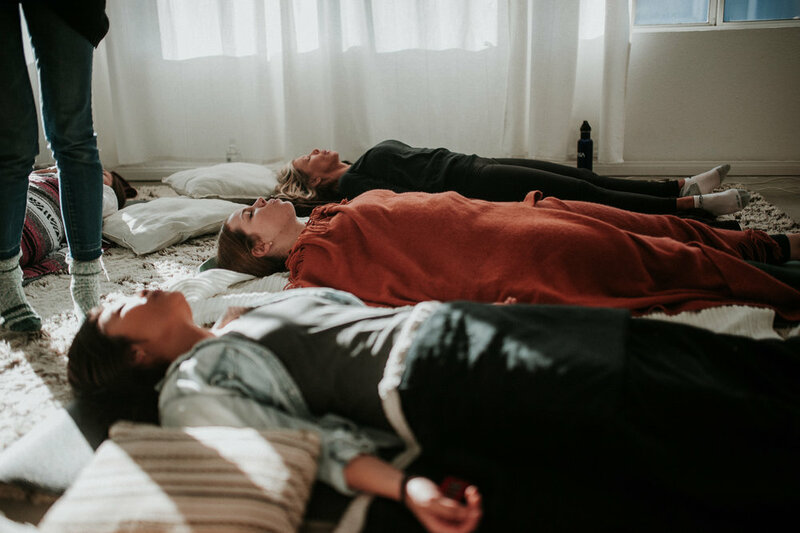 During our time together, I'll guide you through a healing Breathwork session, and we'll be creating a sacred space to call forward and clear out the energy that keeps us stuck, small, and disconnected from our true sexual power. The space is very limited for this workshop in my cozy home. People identified as both women, men, and non-binary are welcome. This is an in-person workshop at One Down Dog in Los Angeles. Join Michelle D’Avella and Lauren Waggoner for an evening of healing using breath and sound. Michelle will guide you through a Breathwork meditation to release stuck emotions and open your heart. You’ll be left feeling lighter and clearer. From there, Lauren will use carefully-curated instruments, frequencies, and tones to bring your entire body into a meditative and relaxed dream state. The combination of breath and sound will re-tune your nervous system and expand your heart's capacity. This is an in-person workshop at WMN SPACE in Los Angeles.